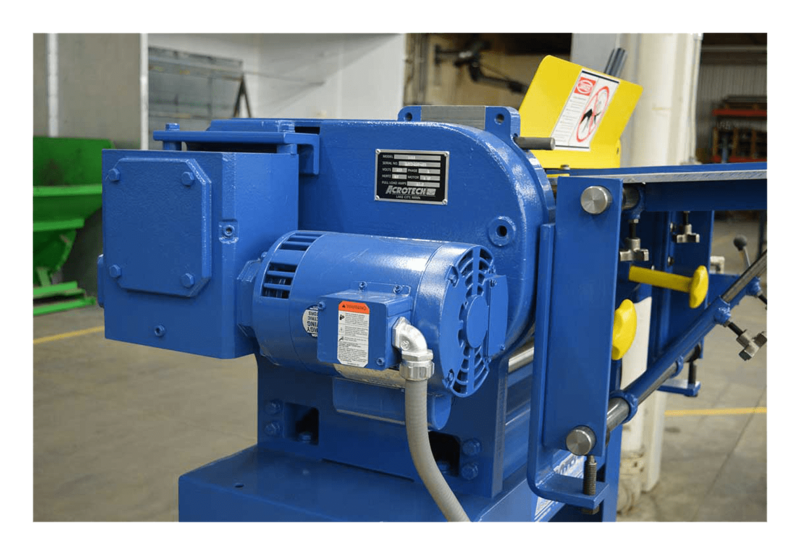 Every model in Acrotech’s unique line of Two Roll Bending Machines is designed and built for production and precision. 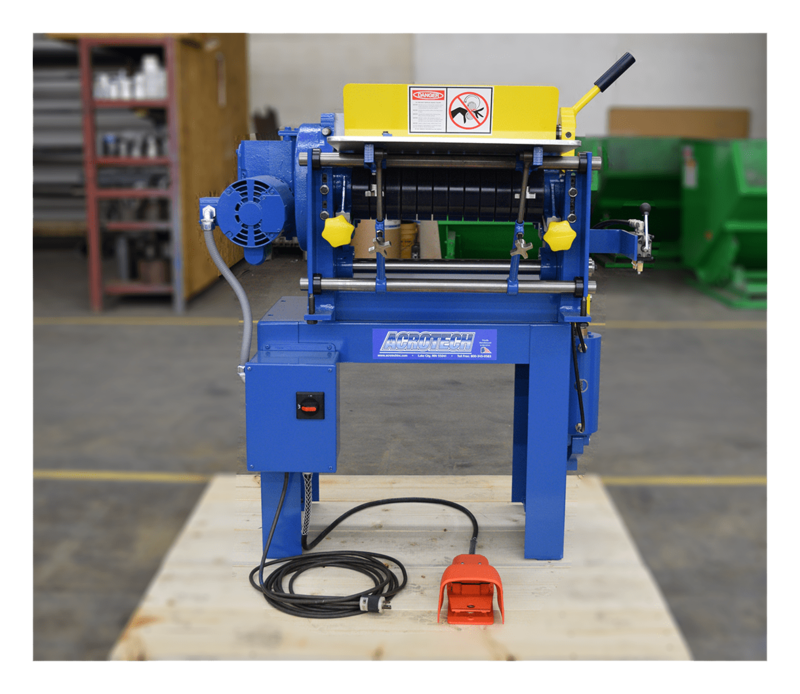 These machines will roll a variety of materials and configurations into cylinders with virtually no flats on the ends! Built to meet the demands of production involving small, light gauge parts. Pneumatic lock-up is standard on all models for increased productivity. 120V 1PH standard wiring simplifies installation. 220 or 440V 3PH wiring is also available. Tooling Slip on Tubes – when the diameter required is larger than what the top shaft will produce, a Slip-On Tube is used. The tubes are developed per part size and increase the forming diameter capability of the top shaft. Quickly change the tube by simply slipping them on and off the top shaft as needed. A Slip-On Tube will be required for each specific part. Slip-On Tube Support – facilitates removal of finished piece-part. Adjustable in height, this accessory supports slip-on tubes to prevent inching curved cylinders against lower roll when removing finished parts. Small-OD Mounting Fixture – required for rolling parts smaller in diameter than the standard top roll. Small-OD Shaft Assembly – available in various lengths and diameters for rolling material to a diameter smaller than standard top roll. Must be used in conjunction with Small-OD Mounting Fixture. Permits rolling diameters as small as one inch. Below You will see pictures of our small O.D. Attachment installed on a 1618. This will allow you to roll much smaller parts (as small as 1″ in diameter) with precision and complete repeat-ability. This attachment can be fitted to new machines or units that have already been in service for years. No reason to buy a new unit when we can customize tooling to fit your needs.